Chocolate balls, as well as being highly suitable as Christmas treats, are ideal for making desserts that contain different elements. 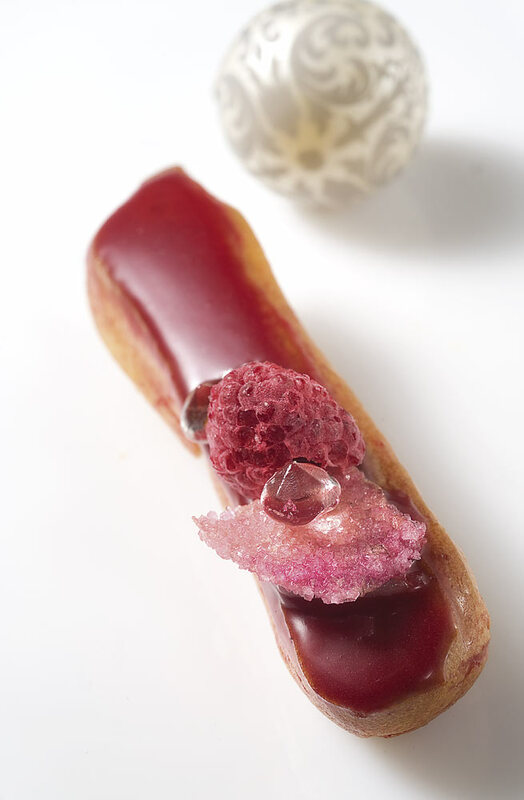 This is exactly what Michel Willaume set out to demonstrate in a work that blends the flavours of pistaccio, cherry and chocolate. 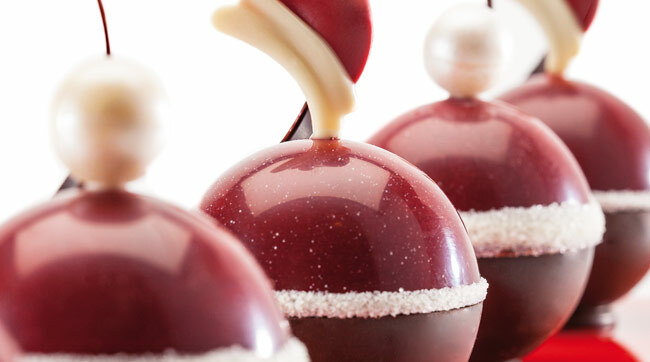 Well-known French pastry chef Michel Willaume, winner of the World’s Pastry Championship alongside the US team in 2001, is the author of this ‘turrón’ – so appropriate now that Christmas is coming. 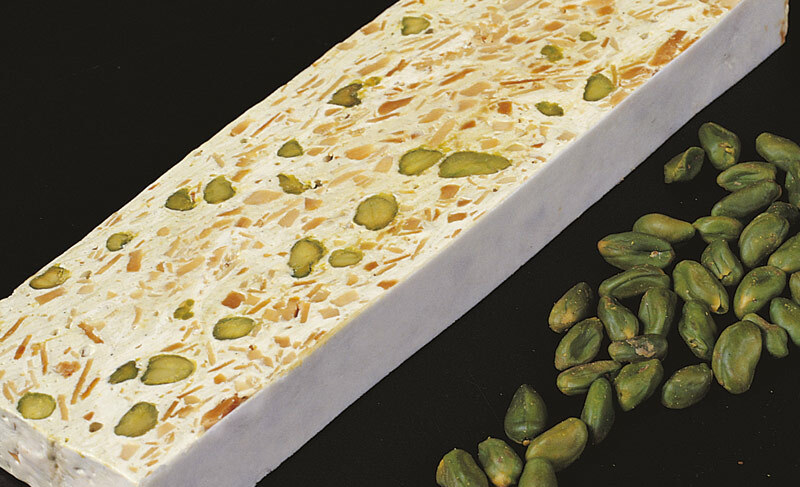 Unlike Montelimar’s famous variety, Willaume’s nougat contains a balanced proportion of almonds and pistachios. Once again, pink and red tones flood the shop windows of pastry shops on the day par excellence for lovers.